This organic mix is perfect for making healthy and flavourful rice salads and contains: carrots, celery, peas, cauliflower, haricots, maize, capers, olives, wine vinegar, water and salt. 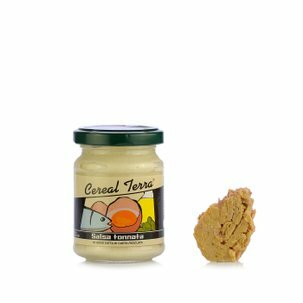 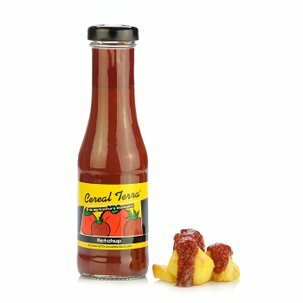 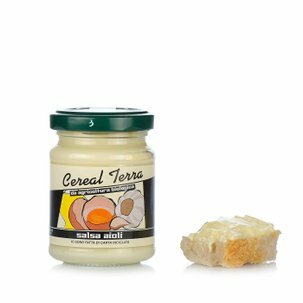 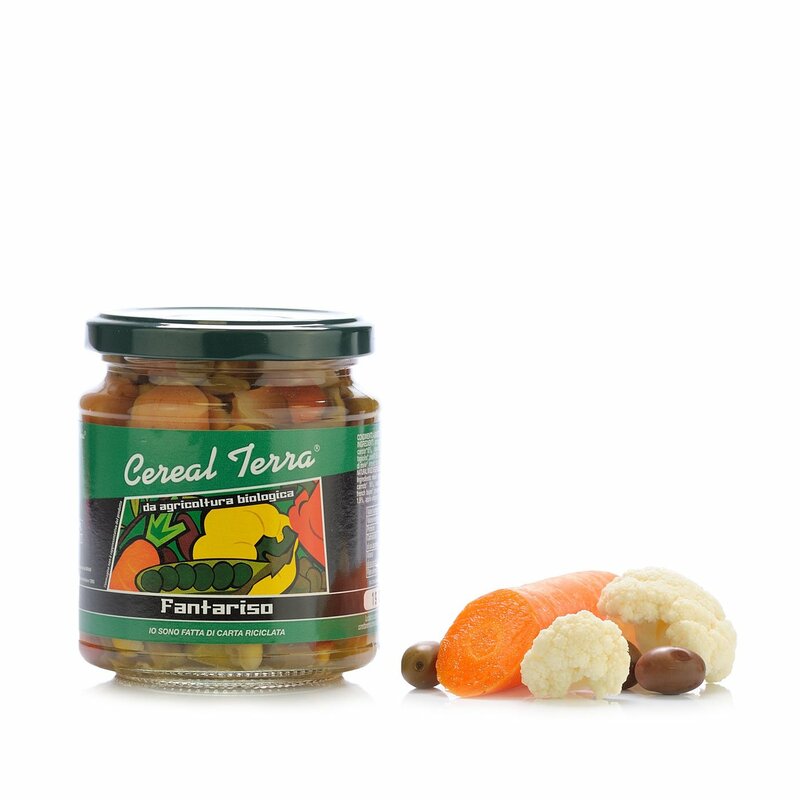 Cereal Terra only uses top quality organic ingredients, free of pesticides and herbicides to guarantee the flavour and aroma of fresh vegetables, also from a jar. 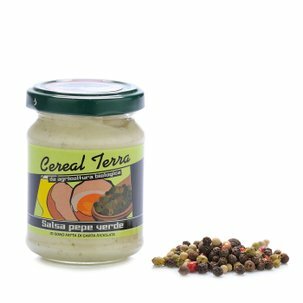 Try it in your rice or grain salads: you will be surprised how good it is. 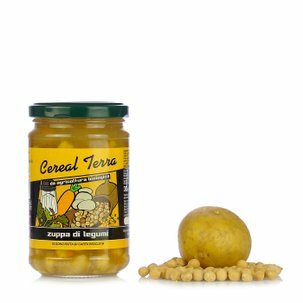 Cereal Terra excels in the special art of preserving organically before organic: since 1990, before the European Legislation, Cereal Terra was dedicated to distributing only genuine products originating from organic farming, therefore using ingredients cultivated without synthetic chemical fertilisers that are packaged without preservatives in order to maintain the flavour and protect the environment.